Tonite at 6.oo the Coffee Bar Kid meets Wellingtonian (Pianist)Jonathan Crayford to discuss his upconimg show on Friday night at the Illot theatre. Also, tune in to Groove at 5.30 to hear Nils Wogram talk about his show at 7.00 Tonite (Illot Theatre) and win tickets! 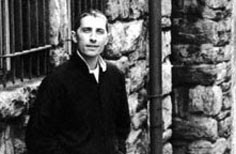 Jonathan Crayford went to New York in 1993 after many formative years with his father Terry (also a piano player/composer) and mentor Bruno Lawrence (drummer/actor). Playing piano in the house band of the St Mark's Bar in Manhattan’s Lower East Side he became involved with many of the players active in New York and securely established himself as collaborator with some of the finest musicians in the world. On invitation he returned to New Zealand to perform at the International Festival of the Arts with a powerful jazz trio and to date continues to maintain frequent contact between both bases. In 1998 he toured over 20 countries including Canada, the United States and Europe with Warner Brothers record artists Groove Collective (a 10-piece acid jazz group from New York). He is currently a member of Bill Ware’s Y2K Jazz Quartet, Kurt Rosenwinkel’s This, and the Dave Binney Group. He has performed and recorded with Groove Collective, Baaba Maal, Victor Jones (Chaka Kahn, Michelle Petruchiani), Clifford Barbaro (Betty Carter, Sun Ra Arkestra), Jay Rodriguez (Ray Barreto, Chucho Valdez) and Afro/Cuban master percussionist Eddie Bobé (Jaco Pastorius, Eddie Palmieri). He is also a key member of New York based Afro/Cuban band Mambo Macoco. Jonathan has gained international recognition and is in demand as an instrumentalist and composer. He has made it to the cutting edge of the New York scene within many genres of music. In addition to performing and recording, Jonathan composes orchestral scores for feature films and television programs, one of which picked up Best Original Score at the New Zealand Film Awards. More recently he has been composing on commission for New Zealand classical concert pianist Danny Poynton. At 1.00 the infamous Composer and pianist Mike Nock popped in fresh off a plane from Aussie. "Nock's ringing iconoclasm pervades all his music, taps a deep well of melody that transcends jazz and informs and ignites his every encounter." A huge congratulations to Wellington's own Charmaine Ford ("Busy Silence") who took out last night's top award for the best Jazz album of 2007 against two time winner, Kevin Clark (with "Zihara") and the sultry indegenous Jazz of Whiramako Black (with "Soul Sessions"). The award was presented at the Opening night of No.11 Wellington International Jazz Festival (6-14 November) and also featured the Edward Ware Quartet (Edware on drums, Anita Scwabe on piano, Nick van Dijk on Trombone/Euphonium and Paul Dyne on Bass. A great turn out for opening nite. the place was pack to the gunnels. 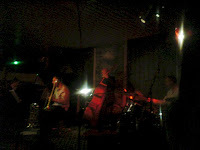 "Happy" is the old Cricketers Arms Bar in Tory St and a great "Seedy" underground location for late night Jazz. Big Ups to the Organisers, esp Megan. "Charmaine Ford has established herself as one of New Zealand’s most innovative and fearless voices in jazz"
"Charmaine Ford has a maturity of jazz expression that belies such youth. This is her debut album and it’s a classic"
"A rising star of New Zealand Jazz Piano"
Capital city-based pianist Charmaine Ford’s ‘Busy Silence’ has tonight been named the New Zealand Music Awards Best Jazz Album of the Year at the Wellington International Jazz Festival. Ford is a former finalist in the category at the 2004 awards for her debut album ‘Blues for Guppy’. She also played piano on the 2006 Tui winning jazz album, Vaughan Roberts’ ‘Grrrreat Stuff’. And her connection with the music awards doesn’t stop there - in 2005 Ford had 12 months individual tuition from 2007 Classical Music Tui winner John Psathas. Today only 27 years of age, Charmaine Ford was born in Tauranga and started her piano training at age six. After moving to Auckland two years later she became heavily involved in jazz ensembles at Rangitoto College both as a player and a leader. She has won numerous national Jazz awards since she started gigging professionally at age 16. In 1999 Charmaine studied in London on a Royal Schools of Music scholarship. Charmaine has performed and toured throughout New Zealand and Australia and has been selected as pianist for the New Zealand Youth Jazz Orchestra on four occasions. ‘Busy Silence’ was released in December 2006. The self-penned album has been described as highlighting Ford’s distinctive style as a composer, arranger and producer as well as capturing her skills as an improviser. New Zealand Music Awards spokesperson Campbell Smith describes Ford’s win as “thoroughly deserved recognition of a dedicated and talented jazz musician”. 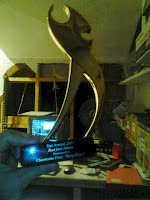 Charmaine’s win will be acknowledged at the New Zealand Music Awards 2008. As part of the International Jazz Festival Dean talks to New York based percussionist Edward Ware who brings together a quartet of musicians to explore the concept of Rothko meets Monk. Ware, a composer and drummer based in New York, and local musicians Paul Dyne (bass), Anita Schwabe (piano) and Nick Van Dijk (trombone and euphonium), have rearranged Thelonious Monk tunes to create a blend of fresh colours and spicy harmonies. 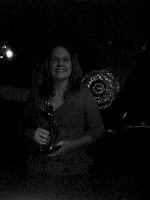 RIANZ presentation of the 2007 JAZZ ALBUM OF THE YEAR award. Once again its on! And Groove will be there! 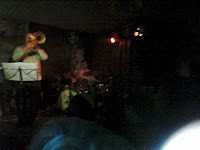 The 11th Wellington International Jazz Festival, seven nights of exotic and inspiring sound art. The Ilott Theatre at the Wellington Town Hall hosts four concerts, featuring a dazzling mix of international stars, including the return of some of New Zealand’s finest jazz exports, and local stars. Happy (Cnr vivian and Tory Sts) presents a gloriously diverse exploration of elegant small group jazz & avant-garde explosions via sweaty boggy blues and wild big band adventures. DON’T MISS THIS EXPLOSION OF JAZZ & BLUES TALENT... COME OUT AND PLAY! At the start of Movember guys register with a clean shaven face. The Movember participants known as Mo Bros then have the remainder of the month to grow and groom their moustache and along the way raise as much money and awareness about male health issues as possible. 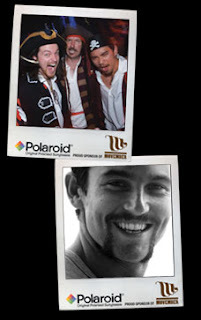 Movember culminates at the end of the month at the Gala Partés. These glamorous and groomed events will see Tom Selleck and Richard Hadlee look-a-likes battle it out on the catwalk for their chance to take home the prestigious Man of Movember title. While growing a Mo is left to the guys, Mo Sistas (ladies that support their guys or love Mo's!) form an important part of Movember with their powerful feminine touch, by recruiting Mo Bros, helping to raise funds and attending the highly anticipated Gala Parties. But it's not all fun and games, so why the extreme behaviour? Which ever way we look at it, men are far less healthy than women. The average life expectancy of a man in New Zealand is 4 years less than a woman. The answer is because men lack awareness about the very real health issue they face, have an attitude of "she'll be right" and are reluctant to see a doctor about an illness or to go for regular medical checks. The aim of Movember is to change these attitudes, make male health fun by putting the Mo back on the face of New Zealand men and in the process raise some serious funds for the number one male health issue, prostate cancer. Every year in New Zealand 2,656 men are diagnosed with prostate cancer and about 600 die of the disease, making prostate cancer the second largest cause of male cancer deaths, after lung cancer. Movember is very proud to be partnering with the Prostate Cancer Foundation of New Zealand [ www.prostate.org.nz ]. All donations are made directly to the Prostate Cancer Foundation of New Zealand who will use the funds to create awareness, increase support networks for those men who suffer from prostate cancer, fund research and scholarship programs. The Prostate Cancer Foundation of New Zealand is a registered charitable organisation. 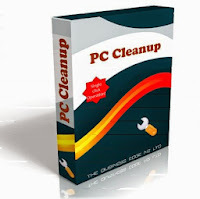 All donations are tax deductible to the extent permitted by law. We challenge you to change the face of men's health.